Do ur kids go to any playschool? Hi! Yes, they both go to Blue Bells. Is it mandatory, though? My son attends a nearby playschool too. I don't think it's mandatory though. 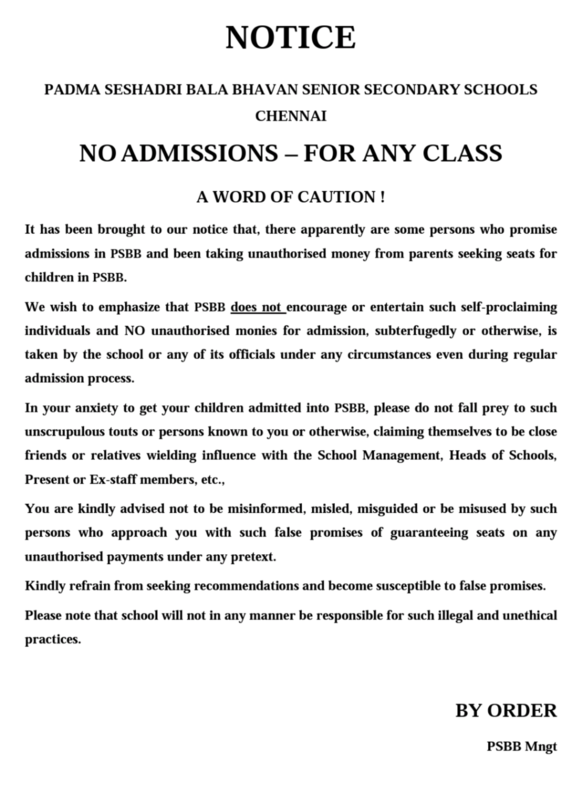 Hi, I am also looking for admission in PSBB kknagar for my son. Please keep this thread posted for any updates. Last 2 years admission notification was posted in Feb if I am not wrong. For 2019-20 it is mentioned in schoolconnects website that admission notification is expected in Jan 2019. Not sure how reliable the information is. Does any one have any idea what are supported documents can be submitted as a address proff. During the application process. This is Kumar from Ashok Nagar. Good to see a thread for 19-20 admissions. This is Sahana from Virugambakkam. Glad to join this group. Please let me know any other schools in this locality. My son would turn 3 years old by March,2019. Also can someone clarify if postal identity card can be used as address proof? Yes thats fine. If possible try to get rental agreement. 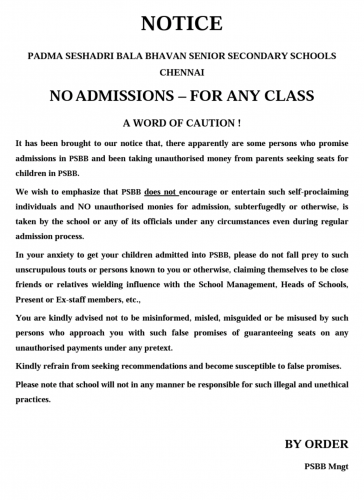 Hi I'm also looking for admission in KK nagar. I heard play school is mandatory.